We make crazy creative indie video games and then let people play on arcade cabinets we build ourselves. We started as a 501(c)3 non-profit in New York City, to help make video game development more accessible to everyone and over the years we've shown our games at festivals, pop-ups and places like the Smithsonian and SXSW. Our games and org never had a home, we were nomadic, going anywhere people would give us space, but as the indie game scene grows, we've grown with it and this year, we're opening a bar to create a permanent home for our community! We're opening Wonderville, a new bar and event space celebrating independently made arcade games. There are indie spaces for music, art, food and zines, so why not an indie arcade? And we're not talking about retro arcade games from the 80s and 90s or just arcade versions of mobile games; these games are brand new, unique and ridiculously original experiences created by designers and artists today. Ever played games using only LED strips? Or door stops? Or juicers? At Wonderville you will! So we started a Kickstarter, and last week we met our goal, so we bought a bar and we're making it real! **EDIT 2: Our first 1.5 hrs flew by, but we’re having too much fun! So we’re gonna stick around a bit longer. EDIT 1: Let’s get started! Joining me will be u/MarkKleeb, who will be posting under his own account. Thanks for joining us and for all the great questions! We’ve also added our photo proof (see below) and we’ll be simulcasting our AMA on our WondervilleNYC Instagram stories (photo proof links to IG) and we’ll be checking #WondervilleNYC on social media in the coming days as well, in case you miss us today. Thanks for having us! This is gonna be fun! We'll be back at 2pm (EST) today for about an hour and a half to answer all your questions, share our knowledge on how to build games, how to start with coding, selecting the right wood for a console panel, NYC zoning laws and anything else you might want to know! In the meantime, please throw some questions up so we can start the party off with a bang! Joining us for the chat will be our founder Mark. Mark is a creative technologist and teacher living in Brooklyn, New York. He graduated from NYU's ITP program and is currently an adjunct professor at both ITP and Steinhardt. Mark is the founder of Death By Audio Arcade, a non-profit organization in New York focused on hosting events and building installations for indie game developers. He us also founder of Wonderville and he is also a member of Floating Point Collective, a shared studio space filled with other artists, fabricators, and technologists. My background is in electronics and fabrication. 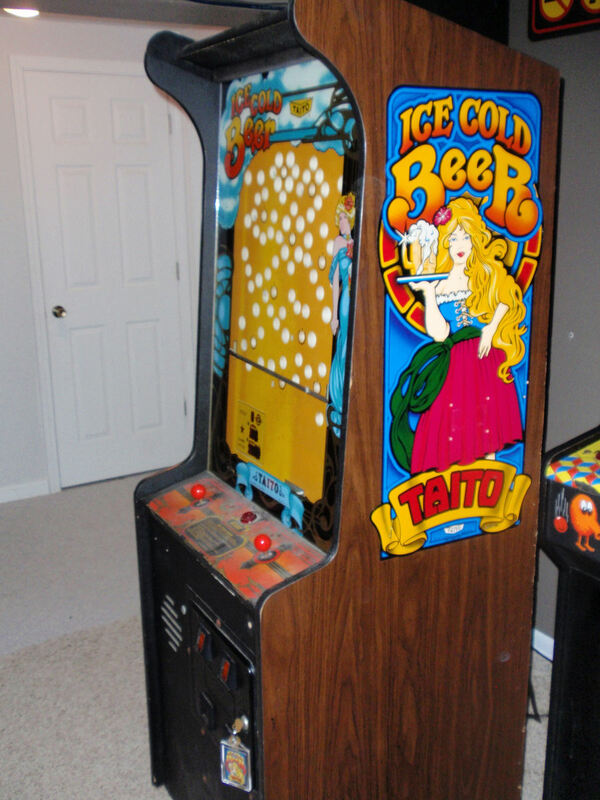 Back in 2013 I started building arcade cabinets by following MAME blogs online. Eventually I learned about the indie gaming community in NYC through groups like Babycastles and I wanted to start building arcade cabinets for some of the more arcade-like games! I was living in a warehouse venue called Death By Audio and we started putting arcades in the venue and Death By Audio Arcade was born! We've built over 25 custom arcade cabinets and we are now a 501(c)-3 nonprofit with monthly events. As more and more arcade bars started opening across the country, I noticed there wasn't really a public venue for emerging indie games or "alt-control" games, so for the past four years I was looking at real estate to open such a space. Finally this year, we've found our space! It's at 1186 Broadway (in Brooklyn) and it's currently a music venue/art gallery called Secret Project Robot. The owners are old friends of mine, and we'll be taking over the operations sometime this summer! We're so excited to bring in new games and host events around the local games community. Ask me anything! I'll be around for the next few hours answering questions!